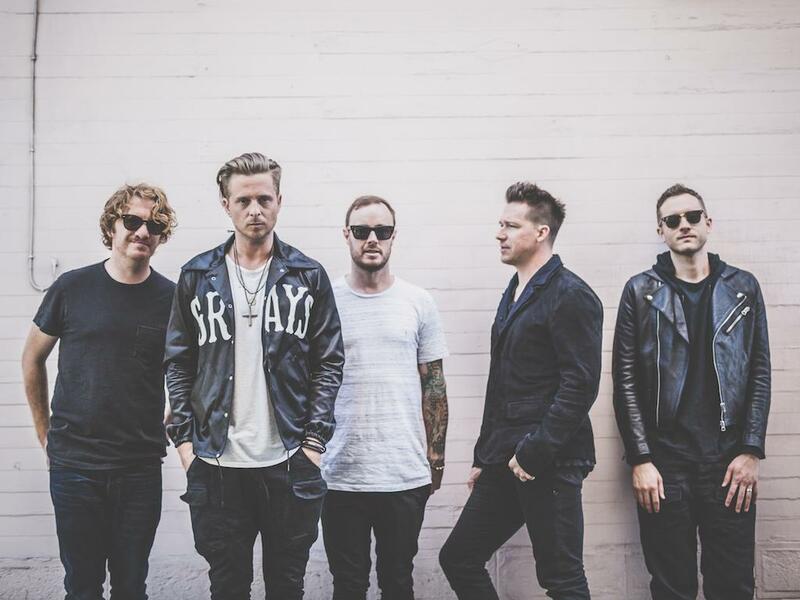 Add OneRepublic to your favourites to get the latest news and updates. After putting out their third album Native — a 2013 release that debuted at #4 on the Billboard Top 200 chart and has sold over 5 million units worldwide — OneRepublic spent more than two years traveling the world in a series of sold-out tours. During that time, the Grammy Award- nominated quintet hit 154 cities in 26 countries and—true to their standing as a singularly global rock band—drew major musical inspiration from each place they visited. As lead singer/songwriter Ryan Tedder transformed that inspiration into new songwriting material, OneRepublic soon began the brilliantly whirlwind process of recording their fourth album all across the planet. The follow-up to Native (whose host of smash singles include “Counting Stars,” a #1 hit in 54 countries), Oh My My came to life in nearly 20 cities around the world, including Rio, Moscow, Mexico City, Tokyo, Paris, and London. From track to track, OneRepublic—which features bassist Brent Kutzle, guitarists Zach Filkins and Drew Brown, and drummer Eddie Fisher—parallel the extraordinary scope of the album’s creation by blending alt-rock, gospel, synth-pop, nu-disco, and folk. With its abundance of sweeping, stadium-ready anthems, Oh My My shapes those eclectic elements into songs built on both masterfully expansive arrangements and bravely intimate lyrics. Unabashed emotion and indelible melody have always propelled the music of OneRepublic, who released their first full-length Dreaming Out Loud in 2007. That album included the Colorado Springs-bred band’s debut single “Apologize”—a Grammy Award-nominated, multi-platinum- selling track that long held the distinction of being the biggest radio airplay hit in the history of Billboard’s Mainstream Top 40 chart. OneRepublic next followed Dreaming Out Loud with Waking Up, a 2009 album that produced three singles: “All the Right Moves,” “Secrets,” and “Good Life.” OneRepublic are now setting their sights on another journey across the globe. With extensive touring in the future, including support to U2 on their Joshua Tree Tour, the band looks forward to bringing even more new music back to the very places where it first came to life.